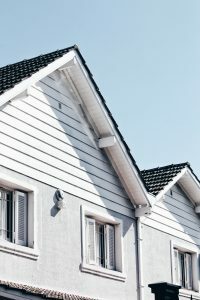 If your home’s siding is older or in less-than-ideal condition, then you may be considering investing in a vinyl siding installation. Our siding contractors receive quite a few questions about siding over the years, so in today’s post, we’ll answer a few of the most common ones we’ve received. 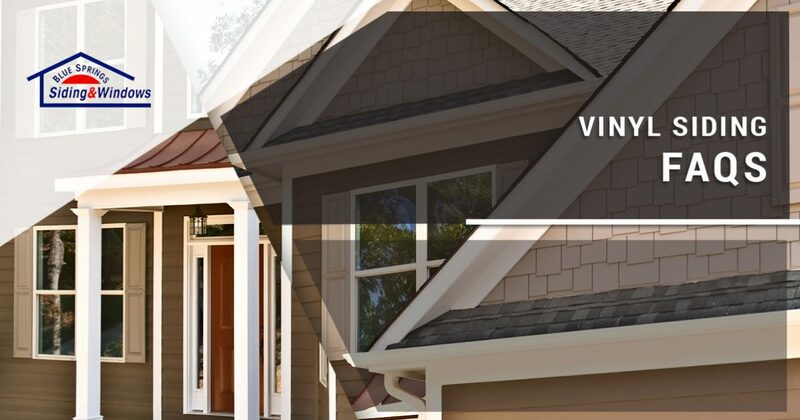 When you’ve finished reading this post, be sure to get in touch with a member of our staff to learn more about vinyl siding in Kansas City! You can visit our showroom at 2201 NW Jefferson Street in Blue Springs, or you can reach us at 816-629-6270 . We look forward to speaking with you soon! We’d be remiss if we failed to start with the basics! Vinyl siding is the most cost-effective and popular form of siding on the market. Vinyl siding has been popular since the early 1960s, though it was originally created in the 1950s as an alternative to aluminum, which was both costly and easily damaged by the elements. Vinyl siding is most commonly made of a substance called polyvinyl chloride, which is more popularly known as PVC. The vinyl siding you’ll find on today’s market usually has multiple layers that provide insulating effects and resistance to ultraviolet rays. Can I Select the Color of My Vinyl Siding? Yes! This home siding option is available in a wide variety of colors and styles, allowing you to completely customize your home. We know that it can be difficult to choose the perfect color for your home, but if you come by our showroom, we’ll happily help you narrow down your options. Alternatively, you can view some of our color choices on our website. One of vinyl’s main selling points is that it’s incredibly easy to maintain. As we mentioned in the first section, your siding will come with ultraviolet protection that prevents cracking, warping, or dryness due to the heat. This means that unlike some other home siding options, you’ll never have to apply a fresh coat of paint to vinyl siding. A power wash is all that’s required to maintain your siding’s vibrant color throughout the year, and you can even hire someone else to do the work for you! How Do I Get Started With a Vinyl Siding Installation? Getting started with a siding installation is easy! You’ll start by reaching out to a member of our team. You can do this through our website, or you can come by our showroom for in-person assistance. After we’ve spoken with you about your home and your needs, we’ll provide you with a free, no-obligation quote for your project. Once you’ve approved the budget, our siding contractors will get to work on the installation. Like all of the home improvement products and services we offer at Blue Springs Siding and Windows, our siding installations come with a lifetime warranty that provides you with the peace of mind you need to invest in your home. You won’t find a warranty like ours anywhere in the Kansas City area!